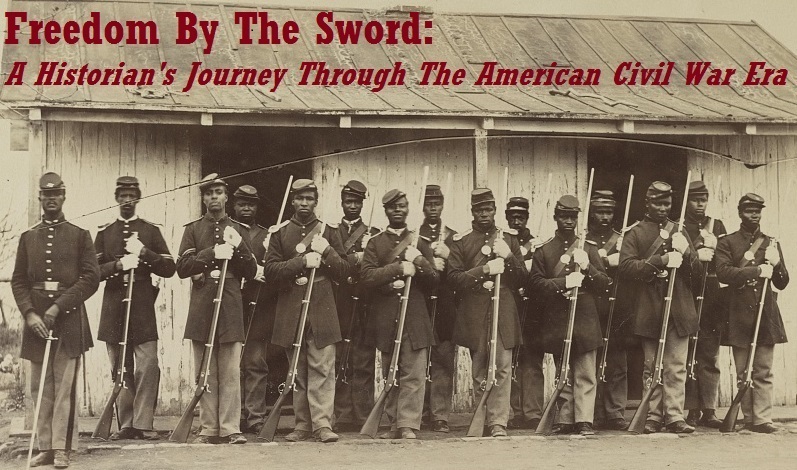 Well, today marks the one year birthday of The Sable Arm: A Blog Dedicated to the United States Colored Troops of the Civil War Era. I must say that when I first began this blog I didn’t think it would have much of an impact or have a wide readership at all – I viewed it more as an exercise to force myself to learn about USCTs and specifically the Battle of New Market Heights, and be able to have a dialogue with like-minded people who could help me understand these topics and expose me to source material I was previously unaware of. One year later, I’m happy to say that – in my estimation, at least – this blog has exceeded those goals and has provided me with opportunities that I never would have dreamed of twelve months earlier. From a book deal with the History Press to write the sesquicentennial history of New Market Heights, the opportunity to meet the descendants of one of the men who won the Medal of Honor there, a chance to live blog the most recent signature conference of the Virginia Sesquicentennial Committee, and the honor of being picked one of the 30 best Civil War blogs out there, The Sable Arm has taken on a life of its own and I couldn’t be happier. None of this could have happened without everyone who’s stopped by to read my musings (14,000 if the hit counter can be trusted), and a big “thank you” goes out to everyone who has chosen to follow this blog. 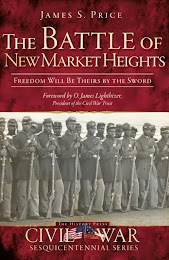 I know that my postings have been few and far between lately, but the upshot of that is that you will all get chance to read my New Market Heights book this August (and if you don’t wish to read it, please don’t let that constrain you from purchasing a copy). I plan to keep the same format that I’ve used this past year, but if you have any suggestions as to how this blog could be improved, feel free to shoot me an email or leave a comment. At the moment I’m working on another entry in my Profiles in Courage series, a piece to commemorate the anniversary of the Battle of Olustee, and a brief biographical survey of the Birney family (the abolitionist James G. Birney and two of his sons who went on to become Civil War generals in command of USCTs), and a review of the Virginia Historical Society’s new exhibition An American Turning Point: The Civil War in Virginia. There’s also a chance that you’ll be seeing me wearing a blue uniform in the near future, but I’ll leave that for another time. Thanks for all you're doing for the memory of the United States Colored Troops. I've enjoyed reading this blog (and taking your New Market Heights tours). Thanks Emmanuel. Hopefully there will be an interpreted site where I give those tours before the Sesquicentennial is over. Congratulations on the anniversary. I always look forward to your entries. Blogging can do that. Congratulations on all your success, Jimmy. Thanks Kevin, that certainly means alot coming from you. Best of luck on your move to Boston!